Bradford County Commissioners, including Ed Bustin (above) have been battling the PA Legislature for more than three years to take action against natural gas companies for cheating property owners out of a large portion of the royalties due to them. They finally managed to catch the attention of the Attorney General, to whom they sent the following letter on December 11. The Bradford County Commissioners want to personally thank the Pennsylvania Attorney General’s Office for filing a Civil Complaint on December 9, 2015 against Chesapeake Energy and its affiliates. We understand the investigative staff and Attorneys from the Attorney General’s Office conducted over 600 interviews concerning Chesapeake’s alleged miscalculating the royalties owed to Bradford County landowners. Commissioners Doug Mclinko, Daryl Miller and Ed Bustin want to thank the Bradford County Landowners who have attended meetings and voiced their concerns on this issue. Especially the approximately 850 residents that attended the informational meeting organized by the Commissioners on December 2, 2015 to discuss whether Chesapeake lease holders should opt out or remain part of the Demchek Class Action Settlement before the December 17, 2015 deadline. It should be noted that the Attorney General’s Office has also filed an amicus curiae (friend of the court) brief with the Federal Court in the Demchek matter opposing the Court approval. In attendance at this meeting were the County Commissioners from several surrounding Counties, demonstrating that the County Governments from the Northeast Region are united in their opposition to the improper calculation of post production costs, which is allowing tens of millions of potential royalty payments to leave Northeast Pennsylvania. The Commissioners applaud the Attorney General’s Office for taking up the cause of the individual citizens in a collective legal action against Chesapeake. The Commissioners are grateful that the Attorney General’s Office has taken up the fight for thousands of Bradford County landowners. The Attorney General’s Office will accept additional complaints by calling 717-787-4530 or by submitting a complaint at www.attorneygeneral.gov. We urge any landowner who believe they have been misled by the gas company on their leases and royalty calculations to contact the Attorney General’s Office. The Commissioners began requesting assistance from the Attorney General’s Office and State Legislature since the improper post production costs were first brought to their attention several years ago. Unfortunately, the Legislature still has not addressed the post production cost and the guaranteed minimum of 12 ½ per cent issue. The Commissioners want to once again urge the passage of House Bill 1391 which is needed legislative action. The State has the legal right to authorize the legislature to pass laws that will impact private contracts when it involves a matter of public interest. In our situation we are asking the legislature to protect the 12 1/2 % minimum royalties that the property owners believe they were entitled to from excessive post-production deductions by the Gas Company. 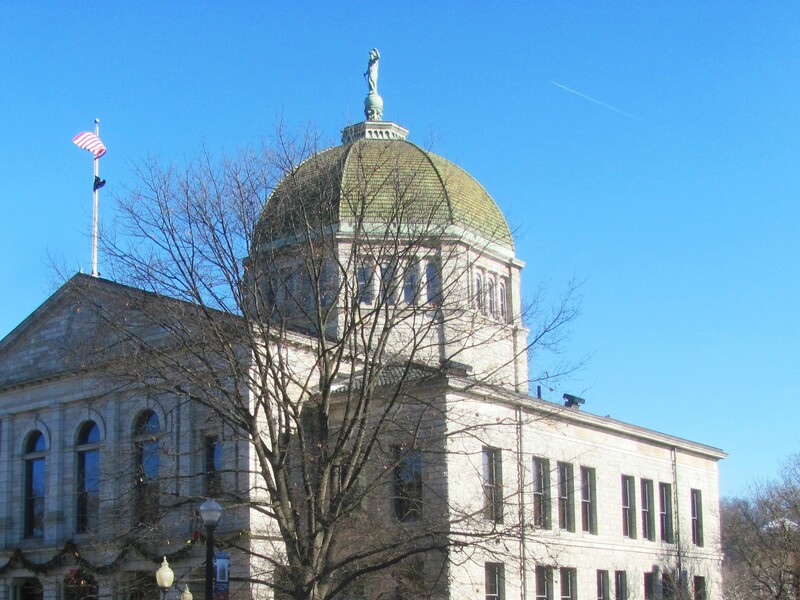 The Bradford County Commissioners cannot enact legislation to address the problem concerning deductions facing their residents with gas leases. This is a State problem and the County Commissioners are asking the State Legislature to use the State’s legal resources to examine the issue and come up with a solution. The Commissioners are urging their State Legislators to adopt legislation that will address the issue to clarify the definition of royalty as was suggested by the Pennsylvania Supreme Court in their Court Decision in the Kilmer case in 2010, which is referred to several times in the Attorney General’s lawsuit against Chesapeake. The County Commissioners do not want to interfere with the private contract rights of individuals. They just want to protect their resident’s expectation to receive the guaranteed 12 ½% royalties that the State Legislature made law in 1979. The 1979 State Legislature has already intervened on behalf of Pennsylvania property owners to guarantee that they receive just compensation for their oil, gas, and mineral rights. The Courts have said that this legislation has not kept up with current technology and needs to be brought up to date. We are not looking to argue with our State Representatives on the legal technicalities, we are asking them to help their citizens solve a problem that the legislature created and has a serious financial impact on the residents, as well as local, county, and state revenues. In conclusion, we again thank the Attorney General’s Office for taking up the citizen’s fight against Chesapeake. We urge our legislators to also stand up for the citizens and House Bill 1391 to clarify their right to receive a minimum of 12½% guaranteed royalties for extracting gas from their Pennsylvania property. The Commissioners continue to support the development of the Marcellus Shale in Pennsylvania, however they will only support companies involved in the gas industry that do not engage in deceptive practices that have hurt the citizens in Bradford County.